These days, the Aztecs have a certain reputation. We’ve already told you about their most popular ball game kept score with human vertebrae, and you’re probably familiar with the skull-heavy decor. Now, take a listen to the Aztec death whistle, and find out how that aesthetic extended to their musical tastes as well. We’re not going to lie. The sound of the death whistle is the most frightening thing we’ve ever heard. It literally sounds like a screeching zombie. We can only imagine what it would be like to hear hundreds of the whistles from an Aztec army on the march. We’re not entirely certain what the whistles were used for, however. They may have been used as an intimidation tactic in war, but there’s one aspect of Aztec society in which they certainly played a role: human sacrifice. One of those scholars isn’t an anthropologist or a musician at all, however. Roberto Velásquez is actually a mechanical engineer, and his simulations of air rushing through the whistles have been instrumental (no pun intended) to recent attempts to recreate the ceremonial sounds. 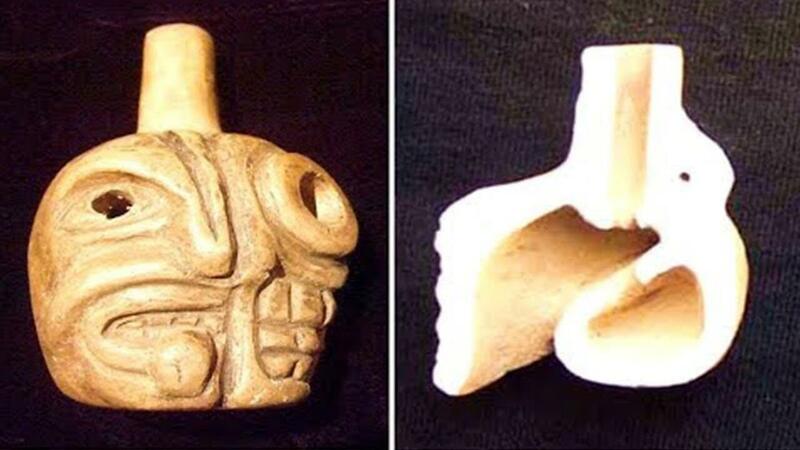 If you look for videos of the death whistles in action, you’ll soon find Xavier Quijas Yxayotl, who has made the instruments out of ceramic, jade, and stone. You can also hear the whistle used in a more haunting, reserved way in the work of Mexican-Canadian Cristina García Islas. Tlatelolco wasn’t just the site of whistle-accompanied sacrifices. It was also the location of the last stand of the Aztec Empire. In Miguel Leon-Portilla’s “Broken Spear” (available for free with a trial membership to Audible), readers get an inside look at the fall of an ancient kingdom. We handpick reading recommendations we think you may like. If you choose to make a purchase through that link, Curiosity will get a share of the sale.